Standalone - ETS - Trailer - Trucksimulator24 - Die freundliche Trucksimulator Community rund um den Euro Truck Simulator 2, Euro Trucksimulator, German Truck Simulator, 18 Wheels of Steel Reihe, Extreme Trucker und den ZModeler. Antworten im Thema: 107 » Der letzte Beitrag (Nov 6th 2012, 1:28pm) ist von Transit. Loogie's amazing trailer for ETS, conversion and load by me. Copy scs to your "\Euro Truck Simulator\mod\" directory. or put other cargos out from the mod directory. You need the Flarepack by Samson ! 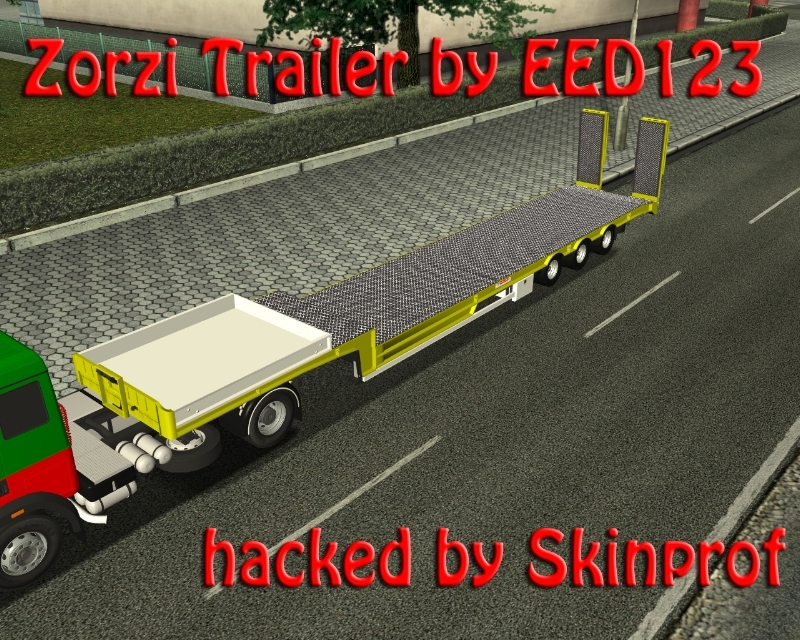 Trailer is testet only with Euro Truck Simulator v1.2 ! I dont support v1.0 problems ! Copy all scs's to your "\Euro Truck Simulator\mod\" directory. kostenpflichtigen Downloadarealen, in welcher Art auch immmer, anzubieten. Da ja immermal ein neuer Trailer zum Download bereitgestellt wird, der Standalone ist und eigene neue Ladungen installiert, muss man ja jedesmal 'ne neue Karriere anfangen. 2. Savegame der begonnenen Karriere laden. 4. den neuen Standalone-Trailer mit seinen neuen Ladungen installieren. überprüfen ob man das Savegame der Karriere hat. überprüfen ob man das Savegame des neuesten Spiels hat. 14. ab dieser Zeile alle Einträge unter den folgenden company : company.volatile. markieren und in den Zwischenspeicher kopieren. 15. in der game.sii des alten Savegames die gleichen Einträge markieren und durch das vorher in den Zwischenspeicher kopierte, ersetzen (einfügen). Dann kann man zu den Firmen fahren und die neuen Ladungen auswählen, ohne dass das Spiel abstürzt. ein Goldhofertieflader mit Ramme...mit Cargo "Ramme"
Trailer is made for Euro Truck Simulator v1.2/1/3 ! Patch your v1.0 if u have some problems and didn't nerve with it. Copy all scs's to your "\Euro Truck Simulator\mod\" directory and start a new game. The trailer comes with own cargo (spr), edit this cargo in your own files or put other cargos out from the mod directory. Random Container Skins independent from the Companies. I have found the empty trailer @ the www postet by lochun. It was a z3d without any dds or loads, they are included in rel. The pmg is open, give fudgeing credits if u use some crap ! The trailer comes with own cargos (open, open1 etc), edit this cargo in your own files or put other cargos out from the mod directory. Copy .scs Files to you're Mod folder. 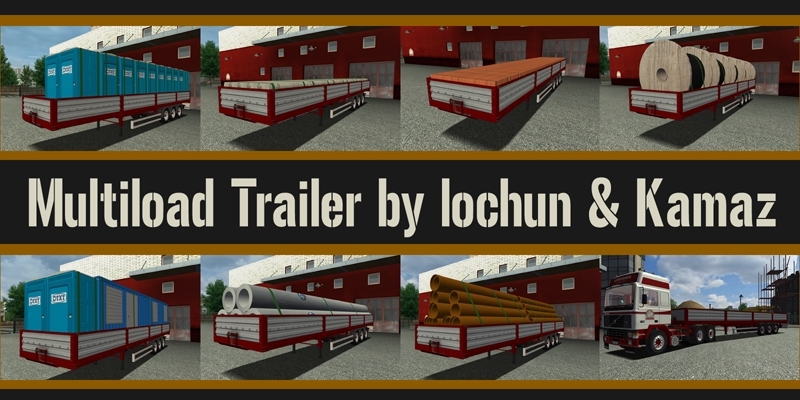 HIGH POLY TRAILER 350 000 polys so will burn your poor mashine, so BUY UPGRADE OR CRY!